This story was originally published at www.proactiveinvestors.com on May 17, 2016 and featured in The CSE Quarterly. As the social narrative and legal argument surrounding marijuana continues to evolve, an intriguing dilemma is posed for a typically conservative mainstream investment community. Investors looking at Beleave Inc. (CSE:BE) will likely have polarised opinions depending upon their age, politics and life experience. Indeed, the issue of marijuana’s decriminalisation and commercialisation is very much loaded. But, whatever an individual’s standpoint on the moral or ethical merits of this emerging industry, one thing is quite clear; a pragmatic look at the business case reveals a compelling argument for the growing sector. Marijuana sales reached nearly US$1 billion in 2015 for the state of Colorado, where the drug was cleared for recreational sale just over two years ago. According to the state’s authorities some US $135 million was collected in taxes and fees related to the pot business that year. Colorado is one of four US states to legalise marijuana for recreational use (the others are Alaska, Oregon and Washington). Twelve others, including big markets such as California and Nevada, now allow consumption for medical purposes. In Canada, the medical marijuana business has legalised progressively over the past 15 years. But, the major turning point came in 2014 with the introduction of the Marijuana for Medical Purposes Regulations (or MMPR) by the government’s Health Canada arm. Newly-elected liberal Prime Minister Justin Trudeau in November announced that marijuana would be legalised for recreational use in Canada during 2017. It represents a major opportunity, particularly for Beleave. Although there’s a lot going on around the edges for Beleave – with the company working on various research and development projects – at the moment the story is quite a simple one. Around 30 companies have been given the regulatory green light for medical marijuana. And as Beleave chief executive Roger Ferreira explains it, his company is currently in the advanced stages of the regulatory licensing process with Health Canada. Being in the final stages of the approval process, the regulatory decision is expected soon. With the help of chief operating officer Bill Panagiotakopolous, and his construction industry ties, the company has now built at low capital costs a 14,500 square foot production facility designed to meet Health Canada’s requirements. The facility, in Hamilton, will be capable of producing some 550,000 grams of marijuana each year and, crucially, it is designed to be scalable so that the production line can grow in lock step with the commercial side of the business. That scalability will be key. Ferreira says initial market research to date indicates Beleave could sell out its entire capacity within a year from the start of production. Prescribed patients on average consume between one and three grams of marijuana per day, he explains. As such just 270 to 800 registered patients would be needed to max out the group’s supply in year-one, giving the company revenue of $4.2 million with margins of 72%. As demand for the product increases the company has already laid the groundwork for expansion of up to 270,000 square feet with margins increasing to 83% and revenue growing past $100 million. At the same time the demand for licensed marijuana in Canada is forecast to soar. The number of registered patients has grown at a rate of 20,000 patients per year since the regulatory framework was brought in during 2014, and the introduction of a recreational use market is expected to see customer numbers swell further. So what’s next in the medical marijuana licensing process? To be green lit in Canada, a grower has to complete a three step permitting process. First, the company needs Health Canada to approve the drug for cultivation (i.e. growing). This is what Beleave is currently waiting for. Once licensed for cultivation the company will then be able to legally obtain already sourced seeds and ‘clones’ for planting and begin the process of growing cannabis plants. Health Canada assesses and reviews the operation throughout as part of the new regulation process. A separate license is then required for harvesting. Without a harvesting license the plants cannot be cut, dried or processed in any way. After that, a third license is required to allow the company to commercialise the product. From an investor’s point of view this represents a critical focus for the next year. Ideally, Beleave will want a seamless transition through each of the three stages – as bottlenecks through permitting could see harvests missed and the loss of potential sales. Previously, Canadian patients were legally allowed to grow marijuana for their own medical purposes. New regulations, introduced in 2014, aimed to create larger scale third-party suppliers to deliver a safer and more medically appropriate product. “They wanted to establish an infrastructure whereby there was a commercial base, with a lot of quality assurance oversight to ensure that the product is safe for use,” Ferreira told Proactive Investors. Ferreira, a Phd who has authored peer-reviewed papers on neuroimmune pharmacology, highlights that research and development and academia are a key focus for Beleave. 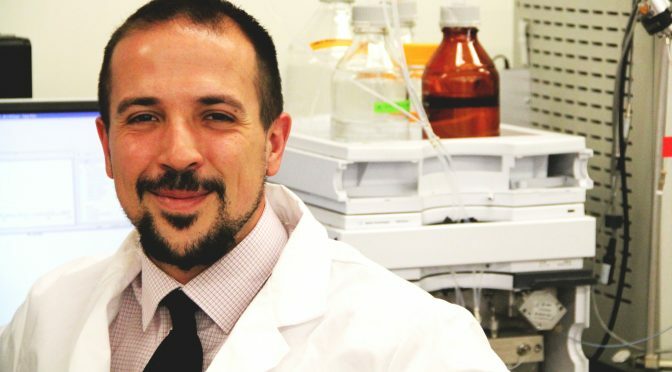 By concentrating on science he expects the business to produce a clinically efficacious drug, as well as creating consistently potent and safe marijuana products. Central to its R&D effort is a collaboration partnership with researchers at Ryerson University, Ontario, and parts of this work is grant-funded. He pointed out that while cannabis is being used to treat the symptoms of multiple-sclerosis, and as ad-hoc pain relief in cancer care, it still is not an approved drug. It remains a narcotic where the evidence of its effects is mainly anecdotal. “There’s emerging clinical evidence of its usefulness for certain illnesses,” said Ferreira. “But, you cannot advertise it right as a specific treatment yet. It hasn’t really been proven out, there isn’t a lot of evidence data. And there are reasons for that. “When you look at availability in the market, there are so many different strains with all these different names and varying qualitative aspects to them – to do with aroma, flavour, strength and effects. “These things attract a consumer’s eye, but what the clinical community is more concerned with is to do with potency and therapeutic benefits. “So we have been looking at how we can establish a production facility that, with good working practice, can ensure reliability, repeatability and a uniform product.